POTENTIAL BENEFIT CUT: In recent years, the number of people collecting disability benefits has really spiked. Some of the change can be attributed to more women entering the workforce over the past several decades, and as baby boomers age, more of them are qualifying for and collecting disability, as well psychiatric disorders increasing over recent years. Additionally, the slow economy caused some workers to lose their jobs or find that there were fewer they qualified for due to their disability so they applied for disability benefits. All of these factors are draining the Social Security Trust Fund faster than expected and it could be depleted by 2016. If this happens and congress doesn't act, those receiving benefits could be facing a 20% cut. SOCIAL SECURITY USED TO BE A BETTER DEAL: Employees today pay more in Social Security taxes than previous generations did. Additionally, when it's their turn to retire, they're also more likely to receive smaller benefits relative to the taxes they paid in. As the number of eligible beneficiaries grows and the funds deplete, taxes are raised and will probably continue to be raised. In 1965, workers paid 3.6%. They now pay 6.2%. For example: an individual who retired at the age of 65 in 1980 and made $44,600 would have paid $98,000 in Social Security taxes and received $207,000 in benefits. Now, an individual retiring in 2030 making about the same money will pay $404,000 in Social Security taxes and only receive $339,000 in benefits. IF YOU WANT MORE BENEFITS, KEEP WORKING: Those approaching retirement age have been doing the math. How much do they get if they wait to take payments? To get the biggest bump in benefits, you have to wait beyond full retirement age. For every additional year you wait, you get an increase in benefits of up to 8% until age 70. You can visit the Social Security Website to calculate your date and yearly rate of increase. IT'S POSSIBLE TO COLLECT UNEMPLOYEMENT AND SOCIAL SECURITY: According to the National Employment Law Project who advocates for seniors to collect both, a growing number of seniors are doing so and it's perfectly legal as long as you report it to both parties. IF YOU MAKE TOO MUCH, YOUR BENEFITS WILL BE TAXED: Many Americans think they can't be taxed on their Social Security Benefits since they come from taxes, but they'd be wrong. If you receive substantial taxable income from other sources such as dividends, self employment, investment interest and pensions, or IRA or 401k distributions, your Social Security benefits could be taxed. 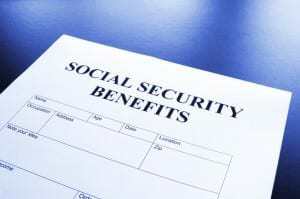 The rule is if your combined income (other sources plus half of your Social Security benefits) exceeds $25,000 for an individual and $32,000 for a married couple then, you may be taxed on up to 85% of your benefits.